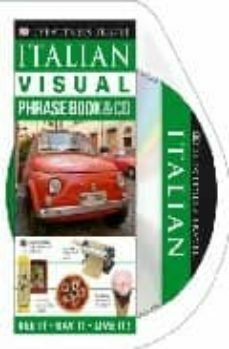 Look before you speak - an innovative visual approach to using and learning basic Italian phrases, with a 60-minute audio CD. Do you need to brush up your Italian, or learn the lingo? Or are you off to Italy and want to make sure you're understood? Find key phrases fast in this effective survival language guide and CD set for real-life situations. Galleries of words and pictures make it easy to find key basic Italian vocabulary at a glance and remember what you've seen. Learn phrases to help you find your way about, eat out, shop and go sightseeing. Plus the easy-to-use pronunciation guide and 60-minute audio CD containing key words and phrases will help you speak like a native. Use the CD to practise, then pop the book in your pocket when you're out and about in Italy.